In my last post I talked about your options when it comes to Facebook, now Facebook is a common option for businesses and Churches to start with, but this is a bad start! Now if you have read anything I post you will know I’m a lover of all the social media outlets, but you’re missing out on a huge opportunity when you don’t back it up with a website. Now I’ll admit my title for this exaggerates a bit, I’m not saying you have to choose one over the other. What I want to show is the value of a well-designed site and how it complements your social media activity. That’s right it’s your website so you’re in control. You get to choose how it looks, what goes where and what is posted to it. If you look at facebook it has its own look and feel, pages have specified layouts for content and sometimes doesn’t even have space for what you want to display. Things like a history of the organisation, or a staff profile. Now I hear you, It’s not meant to have all the extra info about you or you can use tabs to hold this extra stuff. The thing is this is stuff people look for and is easily held on your website. We all know that social media sites like Facebook have special algorithms to decide what you are shown. So yes it is also true that, if you haven’t told the network to show you it all, you can be missing out on posts that are made to accounts you follow. This is not true with your website, what you put there is available to everyone who looks there. No filters, no algorithms, just right there for your visitors to digest. That’s hard to ignore, but I have one more point for you! The largest search engine, powering millions of mobile phones and possibly the only place that can answer any question you ask it (no guarantees on the quality of the answer). Google likes websites! It loves mobile-ready websites!! 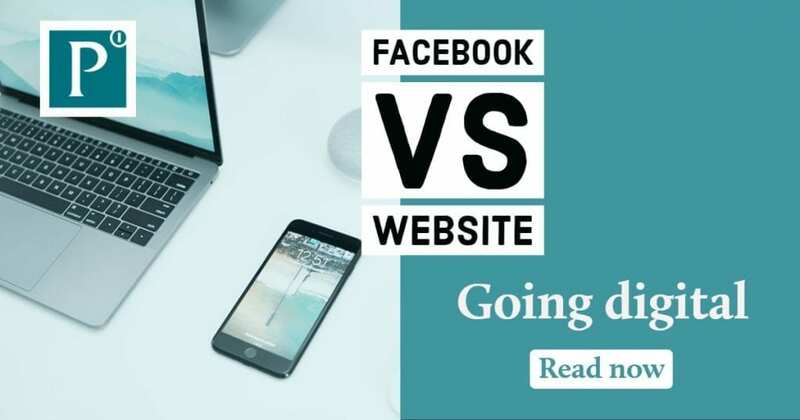 One way to get ranked at the top in local searches is to have an up to date mobile site, it’s that simple and is something a facebook page won’t help you with. We all do it “Google local …..” when we need something. A well-built site will get you to the front page if not the top of this list. Plug in a Google+ account to that and there you are on the map and in more of that front page results real estate. So about now if not sooner I’m guessing your thinking ‘He said Facebook was great for me and now he’s saying its not’. What I am actually trying to highlight is how different these two digital spaces are, they are not exclusive they complement each other. They will work on their own but together they are the base team, your all-stars, something that if you leave one out your going to struggle.